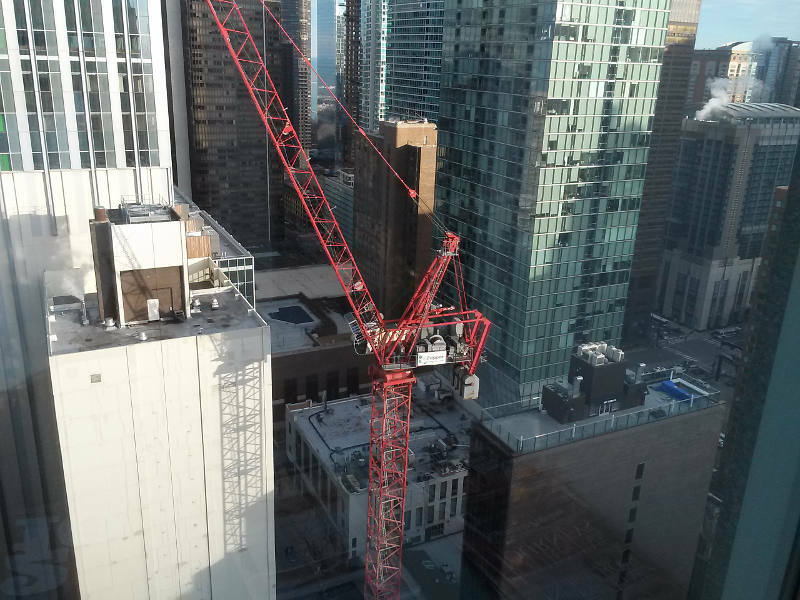 This was my view from the American Bar Association today. I took this one at work yesterday. 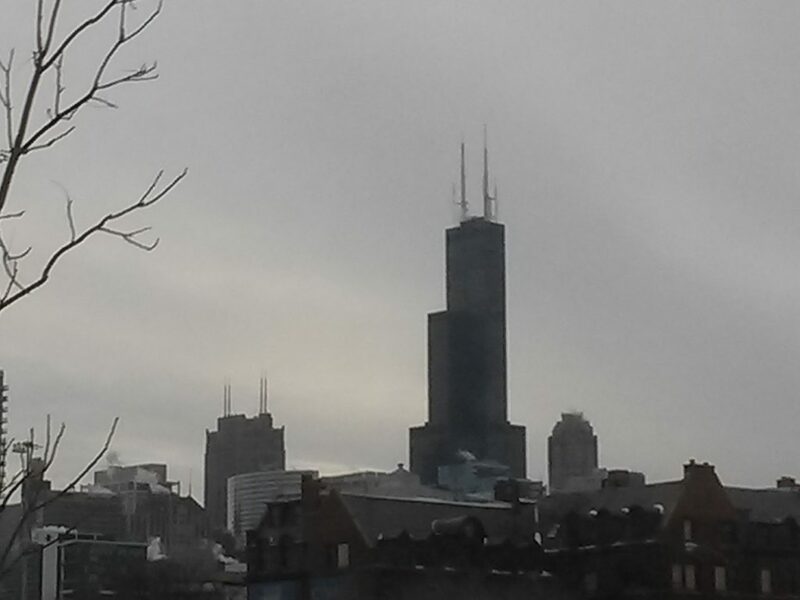 It’s a beautiful day in Chicago. 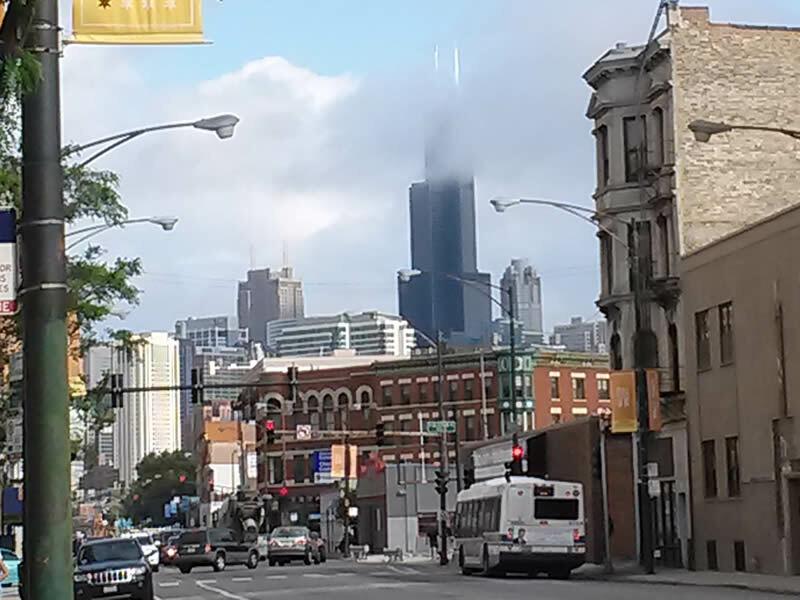 Here’s the Sears Tower piercing a cloud. 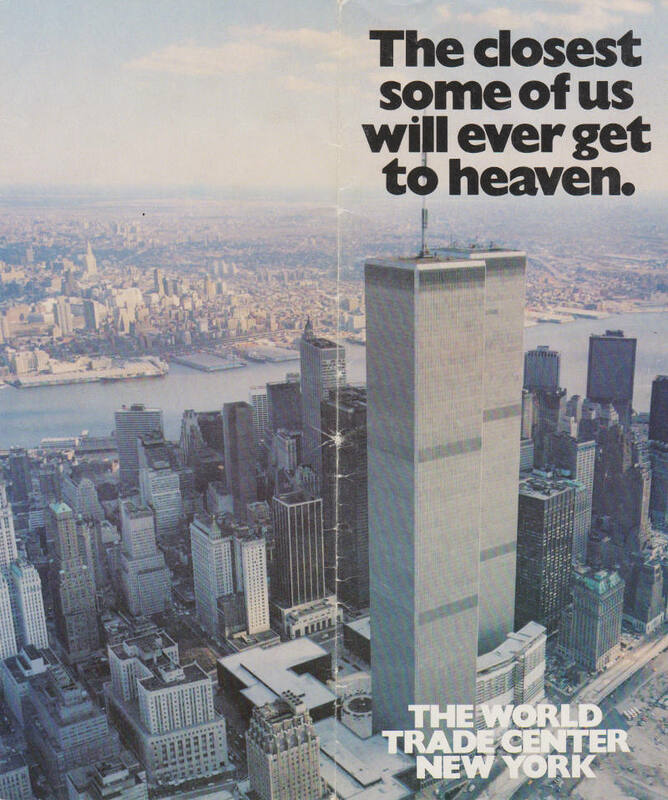 I got this brochure at the World Trade Center one night in 1982. For the record, the view was spectacular. 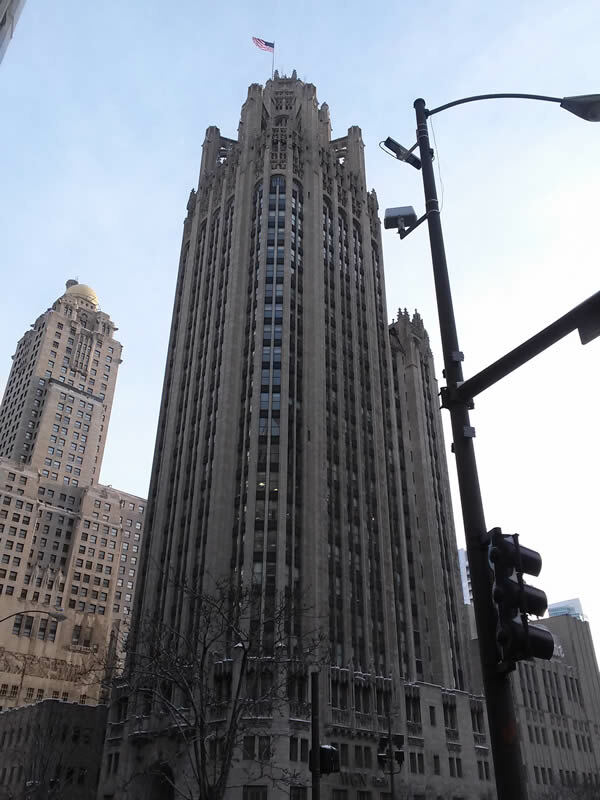 The Tribune Tower has always been one of my favorite Chicago buildings. Here’s a pic I took yesterday on the way to work.